Provide comfort for the family of William Hunt with a meaningful gesture of sympathy. William E. Hunt of Vernon, CT passed peacefully at home with his loving family by his side. 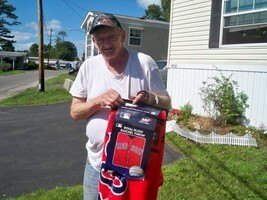 William was an avid Red Sox fan and watched every game on TV. He was married to his loving wife Norma, for 44 years, who stood by his side. They spent time putting jigsaw puzzles together and going out to play bingo. 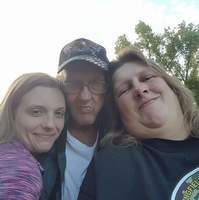 William leaves his loving daughters, Pamela J Arment of West Springfield, MA and Susan M Hunt of East Hartford, CT. Pam’s favorite memory of her father was her Dad being able to walk her down the aisle for her to get Married and being able to spend time with him. 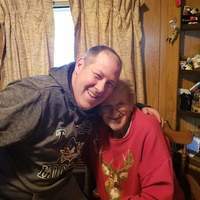 His daughter Susan’s favorite memory of her father was being able to spend time with him at the baseball games, doing yard work and going to the Casino. Both Pam and Susan always enjoyed their father pushing them down the hill on snow tubes in the winter in their front yard. William was pre-deceased by his father, Charles Hunt Sr. in 2006; brothers, Charles Jr, Donald Samplatsky, Tommy Hunt and Bobby Hunt. William also leaves his uncles, John and Edward Hunt both of East Windsor, CT. William adored his grandchildren and spent as much time with them as he could. He leaves Courtney, Christopher, and Savannah Arment of West Springfield, MA, and Dwayne Martin Jr. and Andrew Flores of East Hartford, CT. They enjoyed helping him with lawns and riding the tractor with him. He also leaves behind his sister Beverly Uriano, many nieces, nephews, cousins and friends. Relatives and friends are welcome to join the family from 11:00 AM to 1:00 PM on Wednesday, February 6, 2019 at the Bassinger & Dowd Funeral Home, 37 Gardner St. East Windsor, CT 06088. A Memorial Service will follow at 1:00 PM at the Bassinger & Dowd Funeral Home. Burial will be private at the convenience of the family. To send flowers in memory of William E. Hunt, please visit our Heartfelt Sympathies Store.